Santa Monica, CA – April 5, 2017 – Skydance, a diversified media company that creates event-level entertainment for global audiences, today announced that it has formed a multi-year first-look deal for television with director and writer-producer Sam Raimi (the Evil Dead series, Spider-Man 1-3, Oz the Great and Powerful) and his television producing partner, Debbie Liebling. 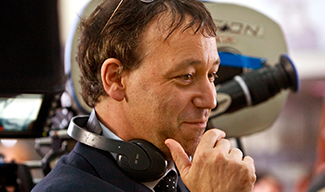 The studio currently has multiple projects in development with Raimi, which will be announced in the coming months. “Over Sam’s prolific decades-long career, he has proven time and again his capacity to tell stories that simultaneously embrace action, adventure, humor, thrills, and mystery. On behalf of our entire team, I’d like to welcome Sam into the Skydance family,” said David Ellison, Chief Executive Officer of Skydance Media. Raimi is a director, producer, screenwriter, and actor who created the cult horror Evil Dead series and directed the original Spider-Man trilogy. His television producing credits include Ash vs. Evil Dead, Hercules: The Legendary Journeys and its spin-off, Xena: Warrior Princess. He is also the executive producer of Spartacus: Blood and Sand, Spartacus: Gods of the Arena, Spartacus: Vengeance, and Spartacus: War of the Damned. Raimi is repped by CAA and Hansen Jacobson. Liebling is a seasoned film and television executive and producer most known for the development and launch of South Park, Borat, Dodgeball, Bridesmaids, and other influential comedies. Most recently, she ran Red Hour Films with Ben Stiller and is currently producing Another Period in its third season at Comedy Central. Liebling is repped by Ziffren Brittenham. Raimi and Liebling’s partnership brings together two entities known for their successful original and oft-mischievous material and they have identified several such projects to date with Skydance. Skydance Television’s current slate includes six series across nearly as many networks. Skydance has in the last year entered into overall and first-look deals with some of the industry’s top talent, including Marti Noxon, Laeta Kalogridis, and Michael B. Jordan. Skydance is a diversified media company founded by David Ellison in 2010 to create high quality, event-level entertainment for global audiences. The Company brings to life stories of immersive worlds across its feature film, television, and interactive platforms. Its feature films include LIFE, Jack Reacher: Never Go Back, Star Trek Beyond, Mission: Impossible – Rogue Nation, Terminator Genisys, World War Z, Star Trek Into Darkness, G.I. Joe: Retaliation, Jack Reacher, Mission: Impossible – Ghost Protocol, and True Grit. Skydance’s upcoming films include Geostorm on October 20th and Annihilation as well as Baywatch on May 26th under the Company’s Uncharted label. In 2017 Skydance formed an animation division to develop and produce a slate of high-end animated feature films and television series in partnership with Spain’s Ilion Animation Studios. Skydance Television launched in 2013. Its current slate includes Emmy-nominated Grace and Frankie on Netflix, Altered Carbon on Netflix, Jack Ryan on Amazon, Condor on AT&T Audience Network, Ten Days in the Valley on ABC, and Dietland on AMC. Skydance Interactive launched in 2016 to create and publish original and IP-based virtual reality experiences and video games. In 2017, Skydance Interactive will debut Archangel – its first original title – in July.